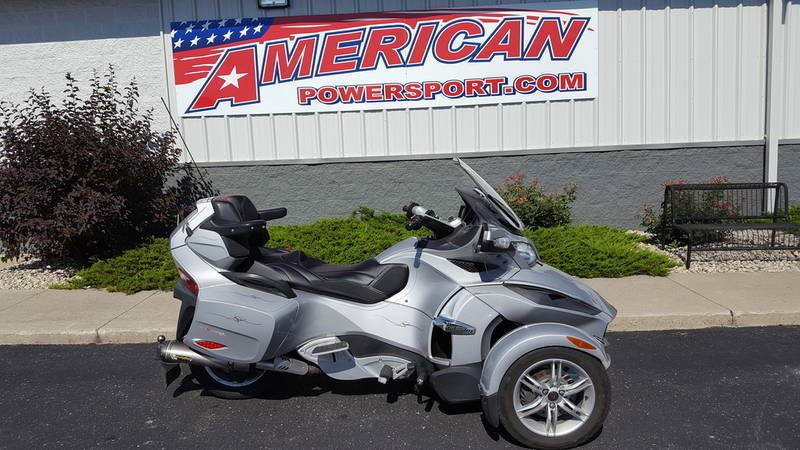 2018 Can-Am Spyder RT 6-speed manual with reverse (SM6), 2018 Can-Am® Spyder® RT 6-speed manual with reverse (SM6) TOURING COMFORT Get on the Spyder RT, hit the open road and don t look back. With a long list of comfort and convenience features, you and your passenger won't be able to resist the open road. Features may include: INFOTAINMENT SYSTEM CONNECT YOUR JOURNEY Enhance your ride thanks to the new twin 4.3 in. full color LCD display with BRP Connect allowing the integration of vehicle-optimized smartphone apps. Get directions, check the weather, share experiences with your community and listen to your favorite music on the BRP Audio Premium 6-speaker sound system. All this technology is easy to access while maintaining your hands on the handlebar with to the new intuitive joystick.CARGO SPACE BRING IT ALL... Keep your belongings safe and protected with trademark lockable, watertight front, side and rear compartments and a glove box for a total of 41 gallons (155 L) of cargo capacity.RT LUXURY FEATURES DESIGNED FOR COMFORT Activate the cruise control, sit back and enjoy the scenery. Heated rider grips keep your hands warm, while an electric adjustable windshield enables you to quickly react to changing weather conditions. Plus, the adjustable rear air suspension lets you set your preferred level of comfort.TOURING SADDLE PERFECT FOR EVEN THE LONGEST RIDES A premium saddle with lumbar support and passenger backrest provides maximum comfort even on the longest rides. 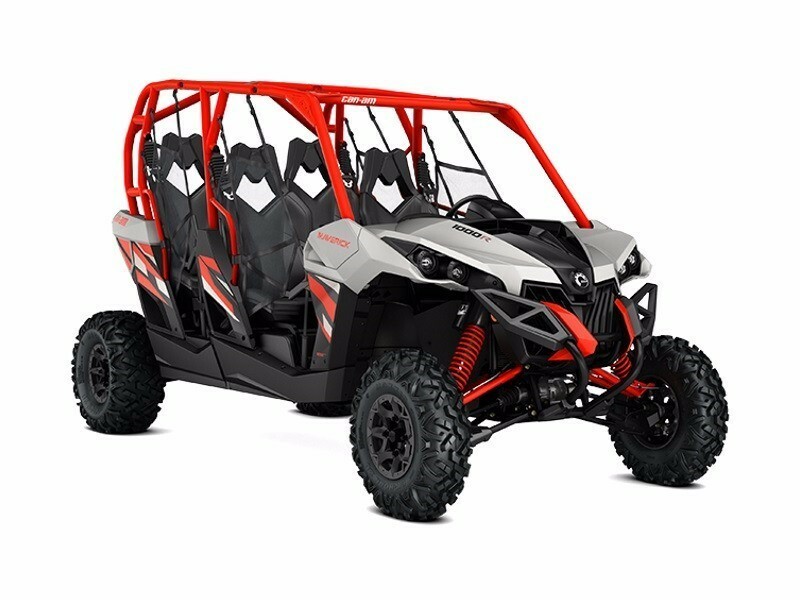 It's also ready to accommodate a driver backrest (sold as an accessory).CALIBRATED FOR TOWING EXTENDED TRIPS This vehicle is calibrated to pull a Can-Am Freedom Trailer (150 gal. / 566 L of cargo capacity) so you can bring everything you need for your adventure. It includes a plug-in module that adds a trailer mode to the Vehicle Stability System (VSS), ensuring the same peace-of-mind riding with the trailer as without. 2018 Can-Am Spyder F3-S 6-speed semi-automatic with reverse (SE6), 2018 Can-Am® Spyder® F3-S 6-speed semi-automatic with reverse (SE6) PERFORMANCE AND STYLE Hit the open road with the Spyder F3-S and when you want to turn things up a notch, the low center of gravity, higher-performance shocks and Sport Mode are ready. Features may include: UFIT SYSTEM A PERFECT FIT The exclusive Spyder F3 UFit system lets you easily position the foot pegs according to your height and choose the handlebar based on your preferred riding style. 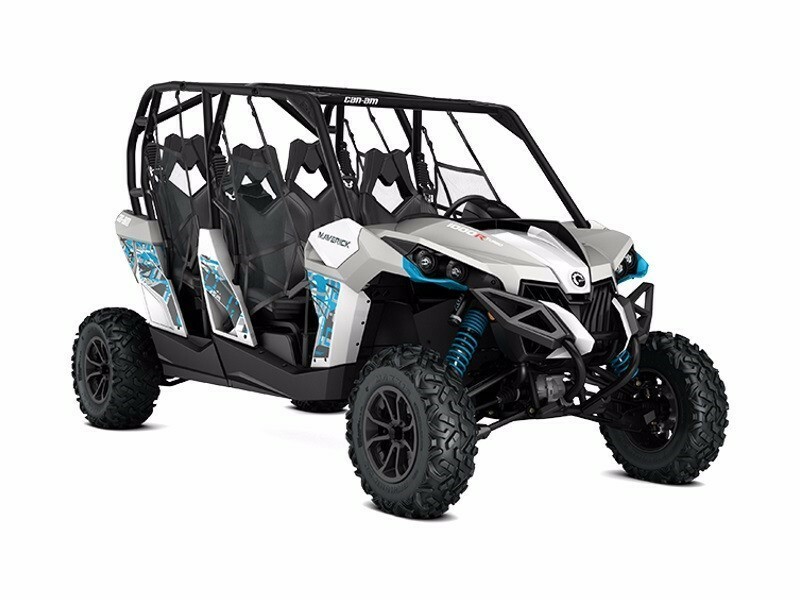 It ensures a truly customized riding experience.SPORT MODE FUN-FACTOR UNLEASHED Turn on Sport Mode and feel your adrenaline surge as you tame twisting roads or perform controlled rear tire spins, all while maintaining your balance and peace of mind. It s our most permissive stability system setting yet.FOX PODIUM SHOCKS PERFORMANCE, COMFORT AND CONTROL Sport-tuned, gas-charged front shocks ensure great performance and comfort on even the most demanding roads.ENHANCED PERFORMANCE POWER = FUN As soon as you twist the throttle, you'll feel the power kick in. 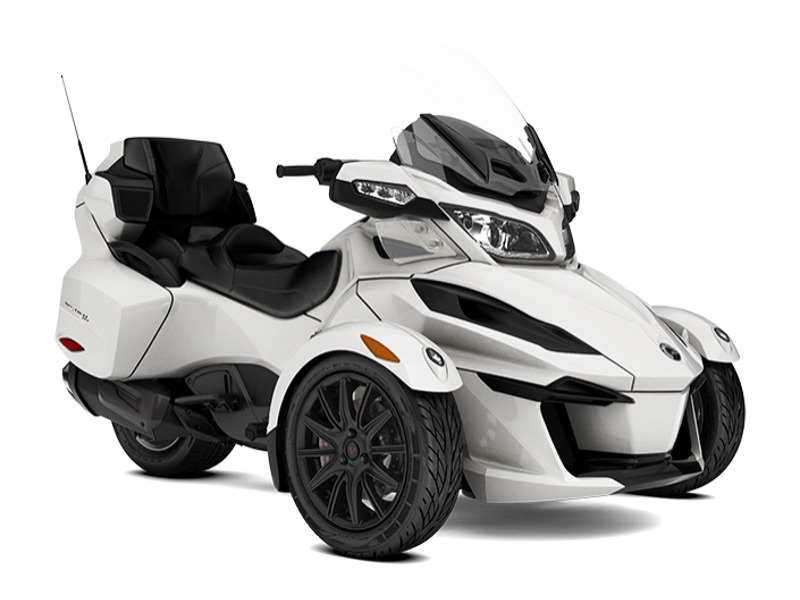 The Spyder F3-S features 115hp (10hp more than the base F3) and 96 lb-ft of torque. 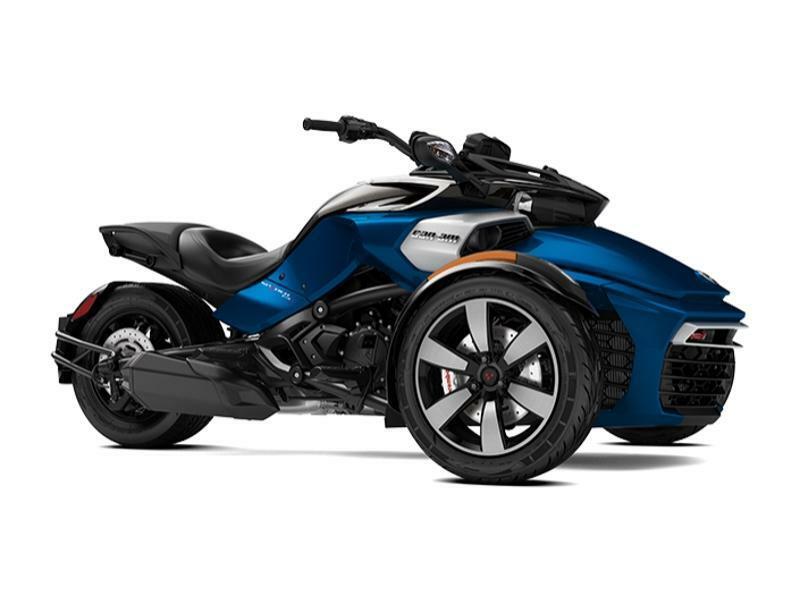 It has the best power-to-weight ratio in the Can-Am Spyder lineup, which is perfect for spirited riding or a relaxing cruise down the highway.PREMIUM WHEELS TWO-TONE PERFECTION These machined wheels evoke boldness and confidence. They feature a deep black high gloss finish for an ultra-premium look. You also get the front fenders with integrated LED lights for greater visibility and a striking look. 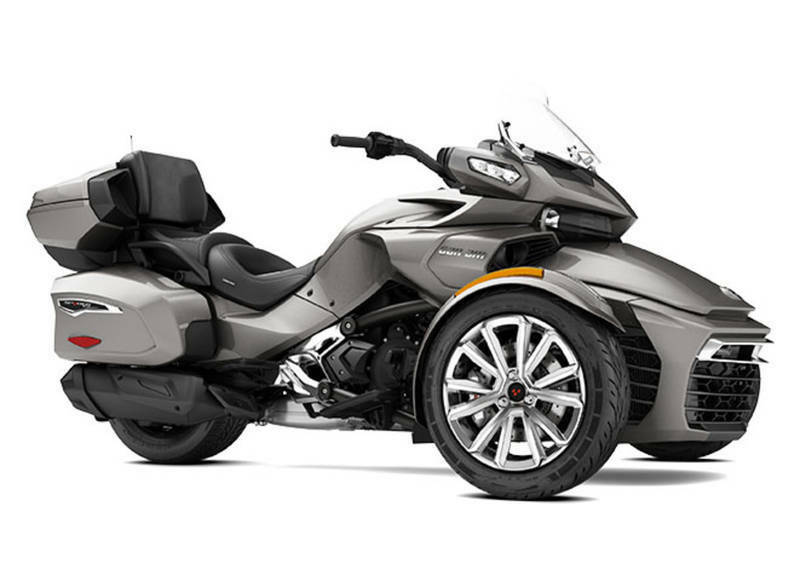 2017 Can-Am Spyder F3 Limited 6-Speed Semi-Automatic (SE6), THE RIDE IS THE DESTINATIONAnswer the call of the open road with the Spyder F3 Limited. A new self-adjusting air suspension is ultra plush. Ride to your own soundtrack with the 6-speaker audio system and bring everything along with the standard luggage with new top case.FeaturesTAILOR YOUR BIKE: The exclusive Spyder F3 UFit system lets you easily position the footpegs according to your height and choose the handlebar based on your preferred riding style ensuring a truly customized riding experience. *Custom handlebar sold as an accessory.PAMPERED PARTNER: The passenger is spoiled with a supportive backrest, heated handgrips and footboards.BRING IT ALL...: You can take it all with 35 gallons (133 L) of total vehicle cargo space.  There is the trademark Spyder front trunk, glove box, two smartly-styled side cases and a new top case. The top case can hold two XL helmets and integrates two speakers, two USB plugs and a cargo light. It's also easily removed. (a cover available from your dealer ensures a finished look).INSTANT COMFORT: Not only is the rear suspension plush, it stays that way even when things change the rear air shock automatically optimizes preload and comfort for driver, passenger and cargo weights.RELAX AND ENJOY: Automatically set a comfortable pace so you can just sit back and enjoy the scenery.ON-ROAD ENTERTAINMENT: Our most high-powered audio system for crusing with your tunes. Six speakers (two in the rear top case), plus AM/FM radio with USB and AUX inputs sheltered in the glove box.CHROME SHAMROCK: Uniquely styled Shamrock chrome wheels, surrounded by premium front fenders with integrated LED light pipes. COMFORTABLE STEERING AND CONFIDENT RIDEEnjoy comfortable steering with varying levels of assistance. GET TURBOCHARGEDThe perfect combination of high performance, innovative suspension technology and class-leading ergonomics. The Maverick TURBO comes standard with the all-new 131-HP 1000R TURBO Rotax engine. GET TURBOCHARGED SHAREThe perfect combination of high performance, innovative technology and optimum ergonomics. 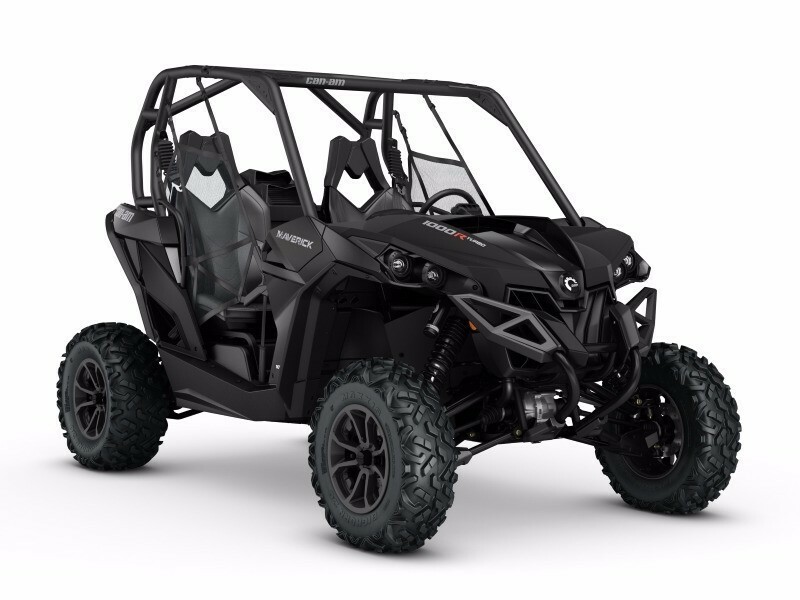 The Maverick TURBO comes standard with the 131-HP 1000R TURBO Rotax engine. 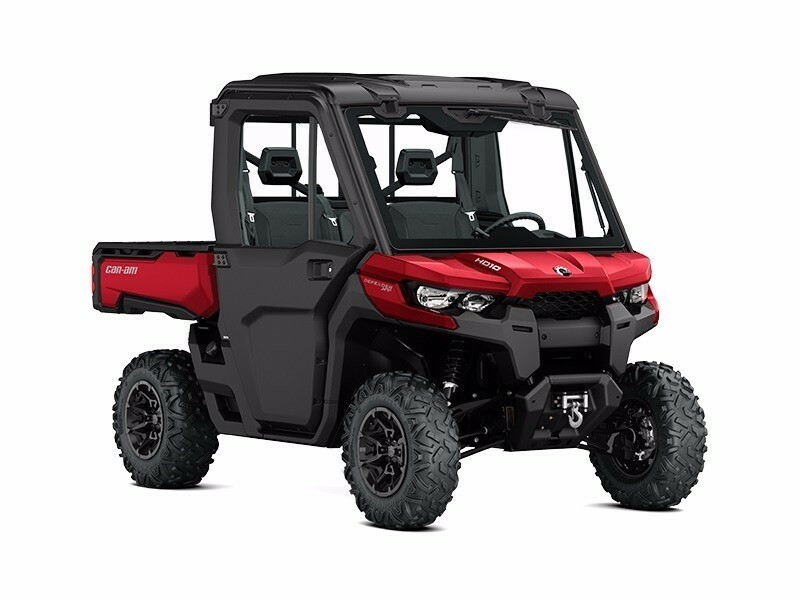 WELL-PREPARED WITH FACTORY-INSTALLED FEATURESThe Defender XT CAB is the most complete utility vehicle that is inspired by those who drive it. Tough, capable and clever features allow the Defender XT CAB to get the most out of your workday in comfort, style and ingenuity.